"Sharleen Collins raw approach to makeup has earned her a reputation as Irelands most influential industry figure." Starting in the industry at the age of 17, Sharleen Collins career has gone from strength to strength over the last 13 years. Originally working for premium brandsCrème De La Mer , Bobbi Brown and MAC, Sharleen then decided to turn Pro and work in the MAC Covent Garden store in London. 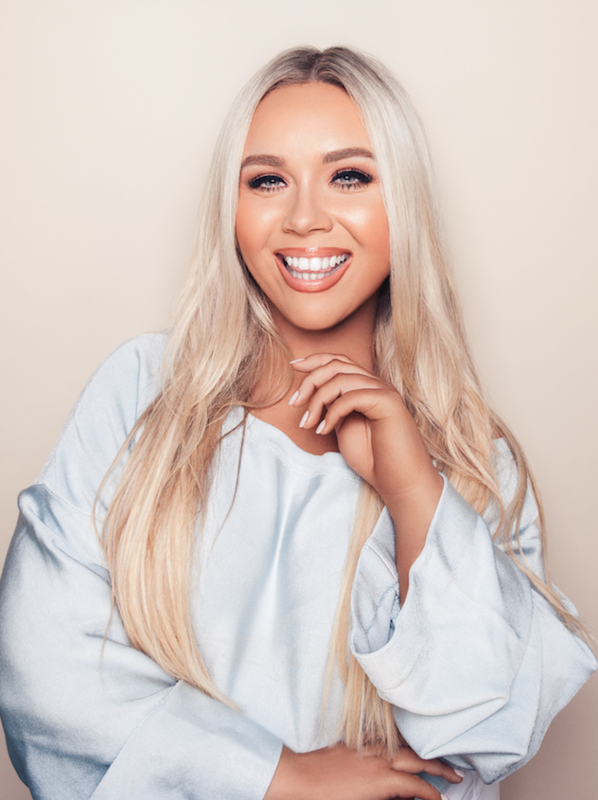 The opportunity to move from Dublin to London with M.A.C Cosmetics to join the renowned Pro Team saw her career skyrocket. While in London Sharleen experienced major success with the Pro Team along with her own freelance where she worked on The X-Factor, Strictly Come Dancing, MTV, Mama Mia The Musical, The Brit Awards and London Fashion Week to name but a few. She also worked with Ireland’s very own U2. Her talents have graced the covers of some of the worlds biggest magazines, from Vogue UK and Vogue Online to Ireland’s own Tatler, Image, VIP, RSVP and U Magazines to name but a few. The Sharleen Collins Academy offers Worldwide recognised ITEC certified courses to suit all levels of students in small classes specially designed to ensure all students receive individual feedback and encouragement. Sharleen and her hand-picked team of top class trainers will mentor all of the students along the way to ensure they get the very best training & advise. From difficult techniques, trends and styles, Sharleen and her team of talented make up artists will cover all basis of the make up industry. With day, evening and weekend courses to suit every keen learner. All students will graduate with a recognisedworldwide ITEC level 2 certificate in make up artistry and in house Sharleen Collins Academy Diploma. Since opening the Academy, Sharleen has taken standards in Ireland to a complete new level. Sharleen Collins Academy is on 32 Lower Lesson Street, Dublin 2 .Sharleen’s remarkable career and signature approach has received impressive critical acclaim, winning countless industry awards. Sharleen Collins Academy will train you to the highest standards in the makeup industry working with lots of different techniques, styles, trends, colours, textures and tones. Sharleen Collins Academy will teach you from beginners to learn the basic techniques to a highly intensive standard of make-up for those of you who wish to pursue a career as a professional makeup artist with a recognised Worldwide ITEC certificate and in house Diploma.